from the international community and especially to the many friends of Karl Richter’s work and music. We are overwhelmed by the interest we have got on our “Karl Richter Munich” Project and Weblog from international visitors (e.g. Australia, Austria, Brazil, France, Canada, Chile, India, Italy, Japan, Korea, Portugal, Russia, Switzerland, UK and USA). We are grateful and happy by the fact that so many still remember and appreciate Karl Richter and the Munich Bach-Choir and Bach-Orchestra concerts around the world after so many years. Conventus Musicus has started as a concert and record label founded by Johannes Martin with the support of the Abbey of Muensterschwarzach – during his time as a school musician at the music gymnasium in Muensterschwarzach. After Johannes Martin ended his carrier as school musician in 1989, he founded under the same name the music-publishing house, audio- and video studio Conventus Musicus in Dettelbach, together with his wife Gabriele Martin. the Muensterschwarzach Vier-Tuerme Verlag are produced at Conventus Musicus sound studio in Dettelbach. A very special and actual project, strongly related to Johannes Martin’s own vita, is the book and video documentation and the Karl-Richter Archive on Karl Richter Era in Munich 1951 - 1981 and his work with the Muenchener Bach-Choir and Bach-Orchestra. After the Abitur (German university-entrance diploma), he studied piano and school music at the Bavarian State Conservatory in Wuerzburg and (starting with 1964) at the Academy of Music (University) in Munich, piano among others with Maria Landes-Hindemith. 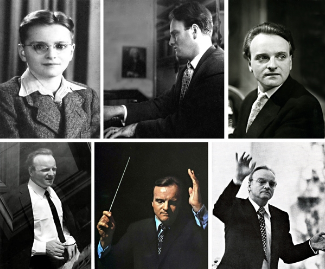 In 1965, he joined the Karl Richter Munich Bach-Choir and participated in many concerts, recording projects and tours (e.g. Canada, Japan, Russia, UK, USA) until 1970 and values precious memories on projects, journeys and friendships with many Bach- Choristers and Artists – many he is still in contact with. the name of his music publishing house and studio. His musical interest is in classical music, music from the medieval times and sacred music. He is deeply rooted in his native country Franconia and has published books, CD’s and Videos/DVD’s on the nature and culture of his homeland. Right now, much of his time is being invested in the Karl Richter Munich Project. Please let us know and we will get in contact a.s.a.p. - we will deliver anywhere in the world. For our international clients we offer the payment solution of PayPal.com, via moneybookers.com and/or of course you can pay by bank transfer or money wire. Just tell us what you want to order, your shipping address and delivery method – and we inform you about the procedure and the shipping costs.